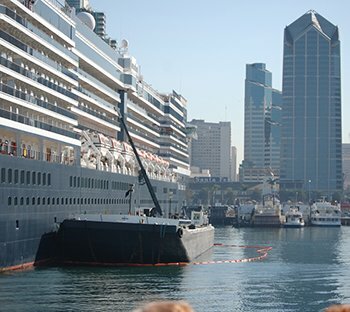 The San Diego Unified Port District is responsible for managing San Diego Bay and the surrounding waterfront which includes cruise ship and cargo terminals, Law Enforcement, Marine Fire Fighting, tenant land leases, public open spaces and wildlife reserves. The Port’s Business Information and Technology Services department required an all-encompassing remote support solution. 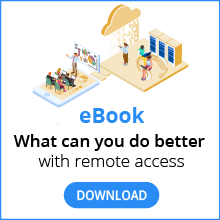 By deploying RealVNC remote access software on all computers around the Port, the IT team is able to fix problems, manage servers and offer help remotely, eliminating the need to drive to individual locations. 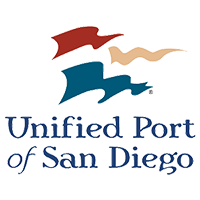 The Unified Port of San Diego comprises 500 staff spread across 11 different locations with departments including Legal, Real Estate and Maritime. The IT team is tasked with supporting these departments along with the Harbor Police Department, which requires around the clock IT access. With staff spread across the Port, troubleshooting can be time consuming when technicians have to travel deskside. A solution was required to facilitate better support for these departments, even after-hours. With RealVNC remote access software deployed the Production RealVNC remote access software is deployed to all Unified Port of San Diego workstations and servers. Previously when problems arose IT staff would bundle calls before driving to each location that needed support. Now, most problems can be fixed remotely, with IT staff regularly praising the amount of time and fuel cost savings. The IT team is also able to provide the Harbor Police Department with 24/7 support. When the on-call technician receives a support request during the middle of the night they are able to remotely connect to a computer or server, fix the problem and be back in bed within minutes. In addition to supporting staff, the IT team can also maintain critical servers that host many of the Ports services housed in data centers located far away from the IT department’s office. With the RealVNC software they are able to access the servers remotely ensuring they are maintained and running effectively, without having to leave the office. The RealVNC remote access software was chosen due to its reliability, ease of use and after sales support. The IT team are thrilled with the value that the software brings to the department in terms of increased productivity, as well as the level of support that they can provide, and continue to use the software on a daily basis.